For every major combatant in the Great War by the mid-summer of 1917, the strategy seemed obvious – wait. The Germans had reached such a conclusion months earlier, retreating behind the Hindenberg Line while waiting for their unrestricted submarine warfare and Russian collapse to change the dynamics of the conflict. The French had just recently embraced a similar change – as the mutiny of their armies following the Nivelle Offensive brought Paris to the brink of defeat. Even Russia, now reeling from their own failed Kerensky Offensive saw the relative wisdom of simply trying to hold on and wait for the American armies in France to save the war. In London, the strategy of patience appeared to be favored as well. The War Cabinet and David Lloyd George were ready to wait until enough tanks could be produced – and enough American “doughboys” had arrived – to restart serious offensive actions on the Western Front. But the view was far from unanimous. Field Marshal Douglas Haig, commander of the British Expeditionary Force (BEF) continued to believe in the increasingly discredited belief that the German army was on the verge of collapse. Another offensive, Haig believed, and the Germans could potentially surrender miles of territory as they had earlier in the year. A well-timed strike in Flanders, Haig theorized, would also captured German naval bases on the Belgian coast, ending the damage Berlin’s U-boat campaign had done to British shipping. Seemingly no one supported the concept. Flanders was notorious for fall flooding, which would be occurring within weeks of the proposed campaign. French soldiers were unreliable allies and the terrain was far from suitable for the tanks the British were willing to commit. Yet seemingly no one was willing to say no to Haig. It was somewhat fitting that the Ypres would ultimately represent a turning point for the British strategy in France, for it had represented the beginnings of the static, trench warfare that defined the Great War. 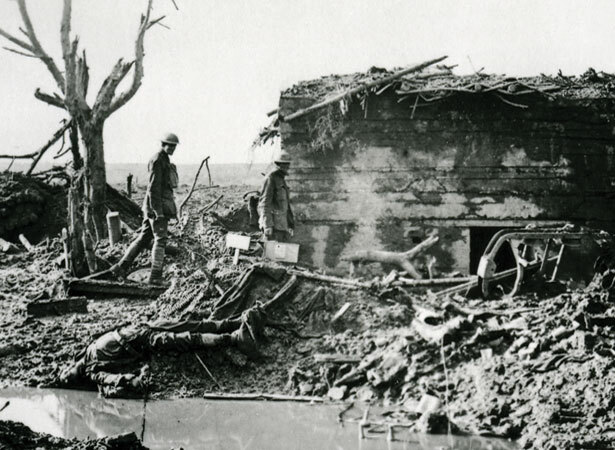 The First Battle of Ypres in Flanders in October of 1914 had marked the end of the warfare of maneuvers, as both the Entente and Germany found themselves locked into battles of attrition – each side charging the other’s trench in desperate bids to break the newfound deadlock. For the cost of over 100,000 men, the combatants discovered that the hope of a war colluded by Christmas was a fantasy. Nearly three years later, a different fantasy still infected the minds of the British General Staff – that Germany was on the verge of defeat. Haig had insisted that the Nivelle Offensive, despite it’s monumental failures, had weakened the German presence in France. The British experience at the Battle of Messines in Flanders just a month earlier had seemingly confirmed the General Staff’s assessment. The use of placed mines and targeted artillery had caused 25,000 German casualties, including 7,200 prisoners. Despite the fact that British losses had been almost exactly the same, Haig and his generals saw the large number of German POWs as proof that Germany had little still invested in the fight. Even if Haig had been correct about the disposition of the German army, his own advisers were cautioning him on the suitability of Flanders for a mass, tank-led, offensive. The region was covered in sandy soil and dotted with hills – poor terrain for Britain’s large but lumbering tanks. If the fall rains started early, what drainage systems had been in place to minimizing flooding would be useless, having been destroyed in prior campaigns. Flanders could quickly become a morass, for men as well as tanks. Haig ignored the advice – only his sales pitch to the War Cabinet changed. Ypres wouldn’t be a “war-winning” sort of offensive. A charge up the Belgian coast – complete with a proposed amphibious landing (Operation Hush) – would knock out the German navy’s ability to launch U-boats so close to British shipping lanes. Afterwards, London could resume waiting for the Americans to arrive. Against their better judgement, Lloyd George and the War Cabinet agreed. Better to strike now than later, they rationalized, and risk the monsoons of autumn that hit the region. British soldiers would again be on the march – and the wettest August in 30 years would greet them. The “fall” rains had already started in June. As the first British soldiers left their trenches at 3am on July 31st, 1917, their boots were already sinking in the mud. Despite initially advancing over 2 miles on the first day, the Germans counterattacked at the flanks of the gains, driving the British back to their original trenches with losses in the range of 70% of the attacking force. Tanks stalled in the mud. Reports, likely exaggerated, told of mules and men literally being swallowed whole by mud. After nearly a month of slogging, Haig halted operations to await better weather. By September, the skies in Flanders had partially cleared, allowing for better aircraft reconnaissance and targeted artillery strikes. The constant pressure of the British offensive was starting to wear down the Germans. The new German system of unit rotation – designed to prevent units from spending too much time at the front – was breaking down as casualties forced a faster rotation pace than Berlin had anticipated. Concerned about a potential British breakthrough, Ludendorff fed even more men into the system, confusing local commanders as units became mashed together, resulting often in multiple units being assigned to the same sector or units waiting long past their rotation schedule because their replacements hadn’t arrived. Despite huge casualty figures, the British were beginning to develop a strategy to the Hindenberg Line. If Verdun had been a massive attrition operation, Passchendaele was accomplishing a similar objective on a more concentrated scale. 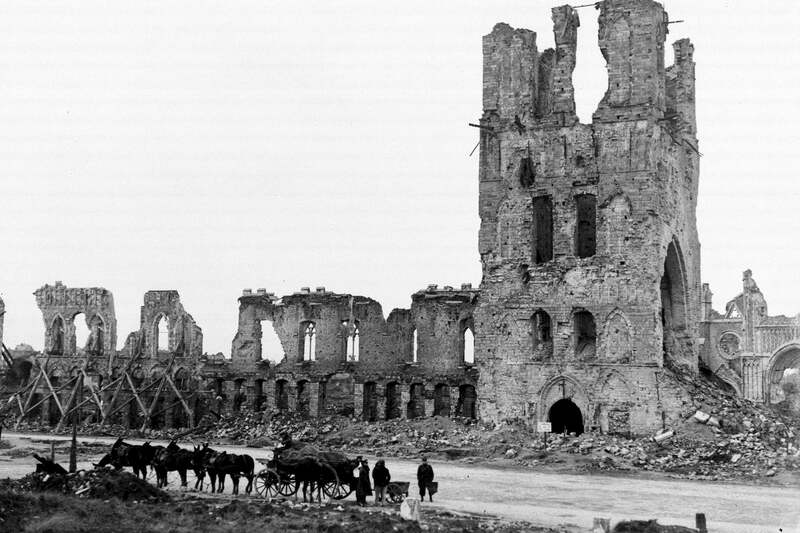 By constantly pressuring the relatively narrow Flanders front, both the British and the Germans were grinding themselves down – only that the Germans, with their renewed focus on the Eastern Front – could not afford the losses. The British would refer to the strategy as a “bite and hold” system as units would force the Germans to cycle through their divisions at a faster pace than they could keep up. The strategy was resulting in slow and steady British gains, but also mounting British losses. Still, the British Expeditionary Force was far behind Haig’s ambitious goals. The Belgian ports were miles and miles away and Haig’s losses, while replaceable, were building political pressure against him. Haig had already been given the moniker of “The Butcher” by his own men before Passchendaele. Now, he was cementing his reputation. Dark clouds had returned in the fall – both on and off the battlefield. The Bolshevik Revolution in Russia had realized one of the Allies’ worst fears – the defeat of Russia and end of the Eastern Front. With the new radicalized government in St. Petersburg/Petrograd vowing to withdraw from the conflict, regardless of the cost, the potential of millions of German troops moving to the Western Front consumed Allied planning. Increasingly, it appeared that Haig had squandered men for minimal gain on the eve of perhaps needing to repel a massive German counteroffensive. The pressure to end the offensive was building but Haig still wanted to press forward. The flanks of the Ypres salient were still in German hands and Haig didn’t have a significant territorial accomplishment to show despite the loss of lives. If the British could capture Passchendaele Ridge, they’d hold the high ground in Western Flanders, setting the stage for future offensives that might break the Ypres salient. Canadian reinforcements eased the strain on the British army, but at great cost. And after pressuring Philippe Pétain, even the French joined the fight, launching an offensive at Chemin des Dames in late October. The French operation was a surprising success, with 38,000 German casualties and another 12,000 prisoners for the loss of only 14,000 Frenchmen. But despite the success, the operation seemingly had little direct effect on Passchendaele. As the Canadians seized Passchendaele Ridge in early November, Haig used the occasion to declare victory and end offensive operations. 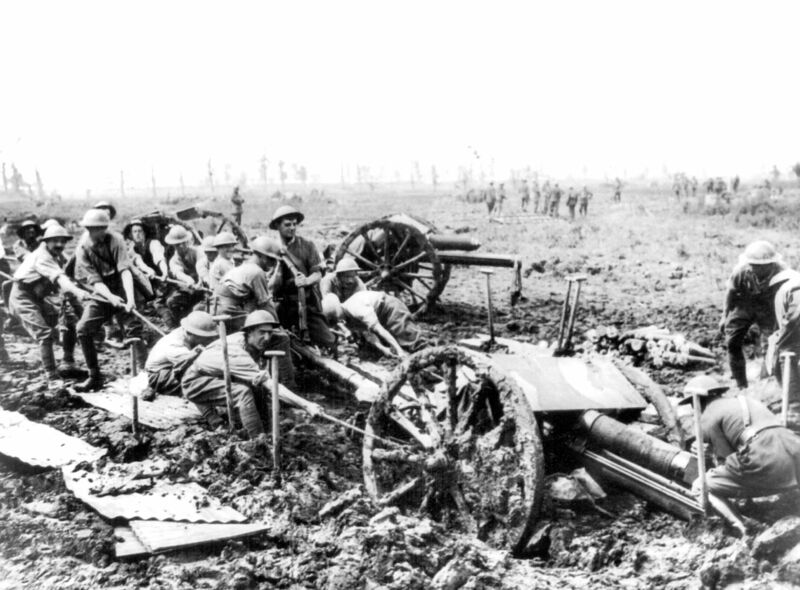 The offensive had, much like France’s Nivelle Offensive, strained the British and Commonwealth armies to their breaking point. Three-plus months of constant attacking in miserable conditions for paltry gains had all but broken the average British soldier. Just days before the final push that captured the Ridge, the commanding Canadian general for the attack told Haig: “It’s suicidal. 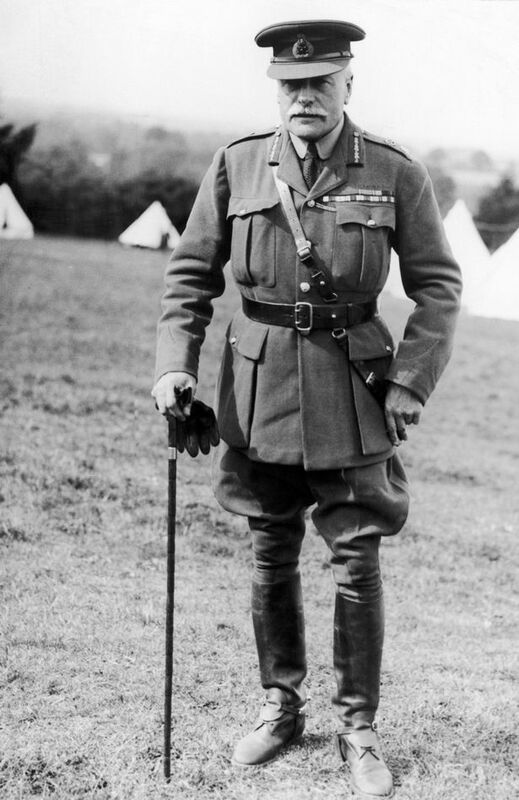 I will not waste 16,000 good soldiers on such a hopeless objective.” Haig was clearly arrogant, but could tell he was about to lose his own men if the attacks continued. Haig was too busy preparing for his next major battle – keeping his command. 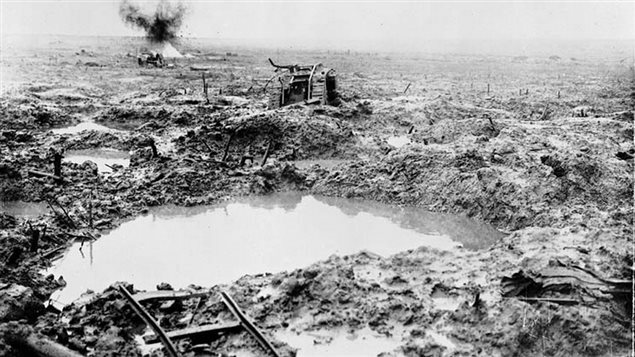 Passchendaele would result in an estimated 800,000 total casualties between the British and German forces combined (the exact numbers are highly disputed, with many estimates far lower). And while Haig’s objectives had not been met, the old general was determined to demonstrate that the offensive had been the right call. With the benefit of time, Passchendaele could be called a qualified success. While the cost of the victory and the execution of the battleplan had revealed severe limitations both in the General Staff and the willingness of the British army to continue to fight, the “bite and hold” strategy had been very effective in wearing down the Germans. German losses might be replaced with Eastern Front reinforcements, but Germany’s reliance on their Hindenberg Line and troop rotation had shown significant shortcomings. The Allies hadn’t gained much ground, but they had gained important lessons on how to attack – and overcome – Germany’s new defensive strategy on the Western Front. David Lloyd George was not was willing to celebrate Haig’s “victory.” Publicly, George wished “it had not been necessary to win so many of them”; an obvious rebuke to the human cost of the campaign. Haig would push back, both publicly and privately, playing off of his alliances within the War Cabinet to maintain his role as the BEF’s Commander while George sacked other commanders he deemed as undermining the war effort. The two would maintain a mistrust of one another throughout the rest of the war.